Say it best with chocolate! 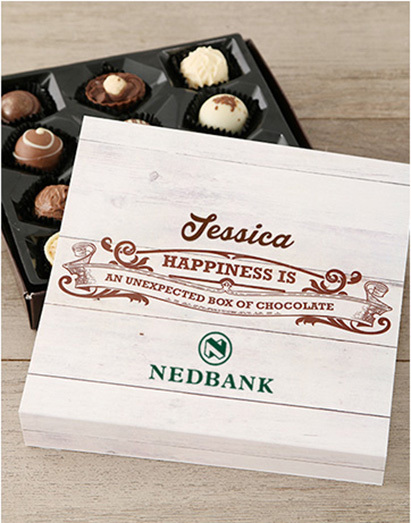 Spoil a client with a tray of delicious chocolates which are housed by a unique personalised sleeve. Note: Individual packaging available on request.